The House of Commons will soon debate if and when the controversial practice of ‘gay cure’ therapies will be banned. Last week, speaking at the PinkNews Awards, Education Secretary Nicky Morgan said the ‘cure’ or ‘conversion’ therapies “have no place” in the UK, and that they should be “stamped out”. Now Conservative MP for Finchley and Golders Green Mike Freer, has secured a Westminster Hall debate to ask Mrs Morgan to expand on her comments. Speaking to PinkNews, Mr Freer said: “The Government through Nicky Morgan has signalled that such ‘cures’ should all be banned. The debate will take place at 4pm on Wednesday 4 November. The Prime Minister David Cameron in April pledged to PinkNews that a future Conservative government would act to end so called “gay cure” therapy, which attempts to change the sexuality of a person, labelling the practice as “dangerous” and “profoundly wrong”. 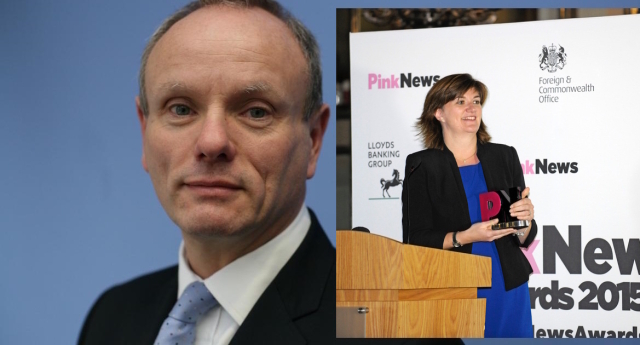 Tory peer Lord Black of Brentwood, who is intending to table a bill to ban the therapies at the time told PinkNews: “I’m delighted that David Cameron also agrees with the gay community that ‘reparative therapies’ are profoundly wrong. “It’s great to hear the Prime Minister- who has been such a strong supporter of LGBT rights throughout this Parliament- commit the Conservative Party to such a tough stance. Former Deputy Prime Minister Nick Clegg also spoke out about gay cure therapy, telling PinkNews in a Q&A that it was “dangerous nonsense”. Labour leader Ed Miliband also said his party was opposed to the use of gay cure therapy. Some states in the US have legislated to ban the practice for minors. It is currently banned in California, New Jersey and Washington D.C.